A tempting boutique located within (at the side of) the ballroom is truly a dance devotee’s delight. 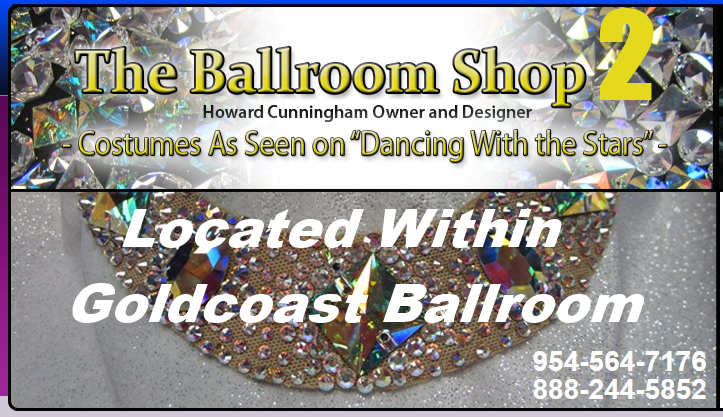 The Ballroom Shop 2 Boutique is owned and managed by Howard Cunningham, owner of The Ballroom Shop at 2737 E. Oakland Park Blvd., Suite 201, Ft. Lauderdale, FL 33306 — one of South Florida’s premiere locations for all your dance needs. 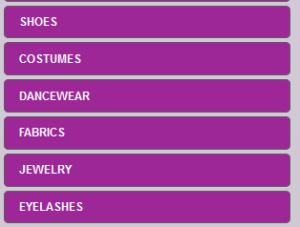 The Ballroom Shop 2 Boutique features the same wide variety of beautiful dancewear found at The Ballroom Shop. 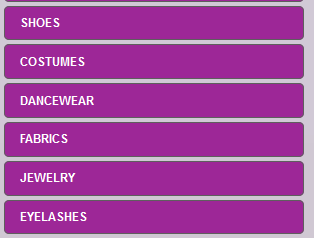 This includes the best brands of shoes, custom-designed Ballroom Gowns and Costumes “as seen on Dancing with the Stars,” fabrics, jewelry, eyelashes, practice attire, consignment dresses, and many other popular items of dancewear. 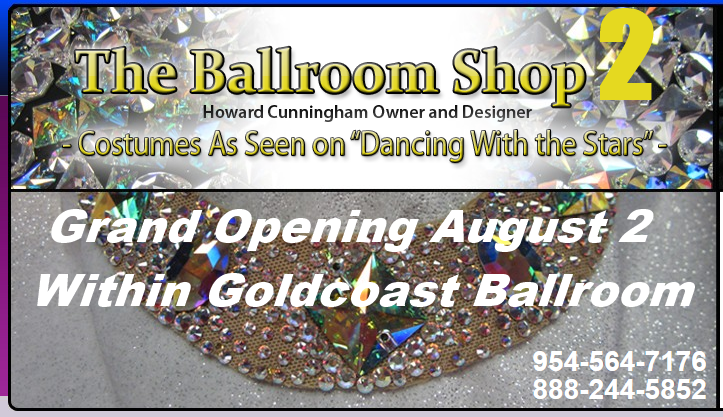 Howard Cunningham is the renowned owner and designer of The Ballroom Shop on Oakland Park Boulevard in Fort Lauderdale and The Ballroom Shop 2, the new Boutique located within Goldcoast Ballroom. The Ballroom Shop and The Ballroom Shop 2 are South Florida’s premiere locations for all your dance needs. Howard has over 36 years in the dance industry. His many years as a professional dancer, has given him the unique ability to take a bodysuit, swimsuit or dress to create a custom ballroom look, just for you. He has designed for the Follies, cruise ship entertainers as well as professional and amateur dancers. We invite you to visit The Ballroom Shop 2 Boutique within Goldcoast Ballroom, and enjoy all it has to offer. Feel free to call and make an appointment for a personal consultation with Howard at either of his locations or if you are out of the area he will consult with you by phone. Call 954-564-7176 today to speak with Howard and let him design the Ballroom Gown of your Dreams!